The home search below displays the current MLS listings of home for sale in the Fairway Estates, the Enclave and the Enclave Estates in Circle C West. Shoudl you have a question or if you would like a Tour of these neighborhoods with NO SALES PRESSURE, call Jim at 512.913.1557. 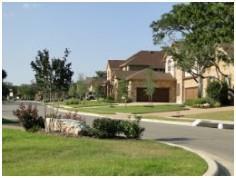 Neighborhood Location: These neighborhoods are located on the western side of Circle C West in Southwest Austin. Take Mopac south, turn right on W. Slaughter Ln., turn left onto Escarpment Blvd., turn right on Lacrosse to Spruce Canyon. Turn right again at Spruce Canyon. You will find these developments on both sides of Spruce Canyon. Scroll down to see more info on the Circle C West Fairway Estates, Enclave & Enclave Estates neighborhoods. The stats below are intended to give you an overview of real estate market activity in these sections of Circle C West. 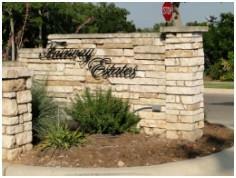 Fairway Estates, The Enclave and Enclave Estates Austin real estate market data from the Austin Board of Realtors, 1/1/11 - 12/31/18. These three gated neighborhoods were developed by KB Home in Circle C West. Most of the homes in these 3 related subdivisions were "built to order" for purchasers by the builder. The build-out was completed in 2013. The homes are feature-packed, typical of homes in Circle C Ranch, especially those built in recent years. Home buyers have many choices in these neighborhoods: new and resale, 1- or 2-story, homes on the golf course, larger lots, etc. Fairway Estates, on the west (golf-course) side of Spruce Canyon. These homes feature living spaces from 3,015-5,368 sq. ft. A number of lots are located alongside the Grey Rock Golf Club. These KB Home plans are named after famous golf courses (Augusta and St. Andrews, e.g.). The Enclave Estates: Built on the east side of Spruce Canyon, these new homes range in size from just over 3,000 sq. ft. to 3,500 sq. ft. Some of the homes built in earlier years of the development are larger than these. The Enclave, the least expensive section of this development, is also located on the east side of Spruce Canyon. Homes have from 2,226-3,332 sq. ft. of living space. Taxes in this area are typical of many Austin subdivisions: $2.23/$100 of property value (TCAD) Austin in 2016. Membership in the Circle C Ranch HOA is required. Other HOA fees specific to these communities may also be required. In 2012, a new community center and swimming pool for Circle C, located at the intersection of Spruce Canyon and Lacrosse was completed. The many neighborhood and local amenities of Circle C Ranch helps to make it a very popular neighborhood for homeowners. Students living in these Circle C West neighborhoods attend schools of the Austin Independent School District. If you are considering a home purchase in one of these three neighborhoods, check with the Austin ISD for current school assignments. School boundaries are sometimes redrawn.